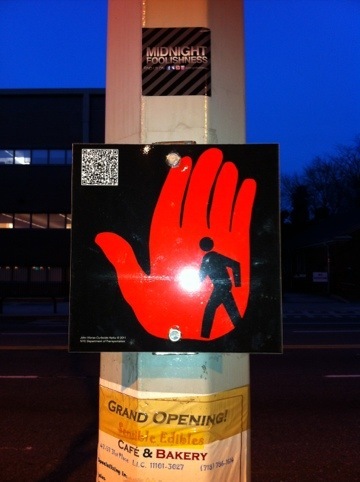 This entry was posted on January 21, 2012 at 10:11 am and is filed under advertising, art, bicycle, bike, bike lane, boroughs, cameraphone picture, car, car culture, Church, commute, found art, LaGuardia Community College, Long Island City, New York, patritoism, photograph, photography, queens, red hand, sacrifice, sidewalk, signage. You can follow any responses to this entry through the RSS 2.0 feed. You can leave a response, or trackback from your own site.